This application grabs a list of songs, e.g. from your playlist or a service like SoundCloud. Each song's title is ran through a text-to-speech (tts) engine and becomes a sound source positioned in 3D space (JOAL, OpenAL Java wrapper). 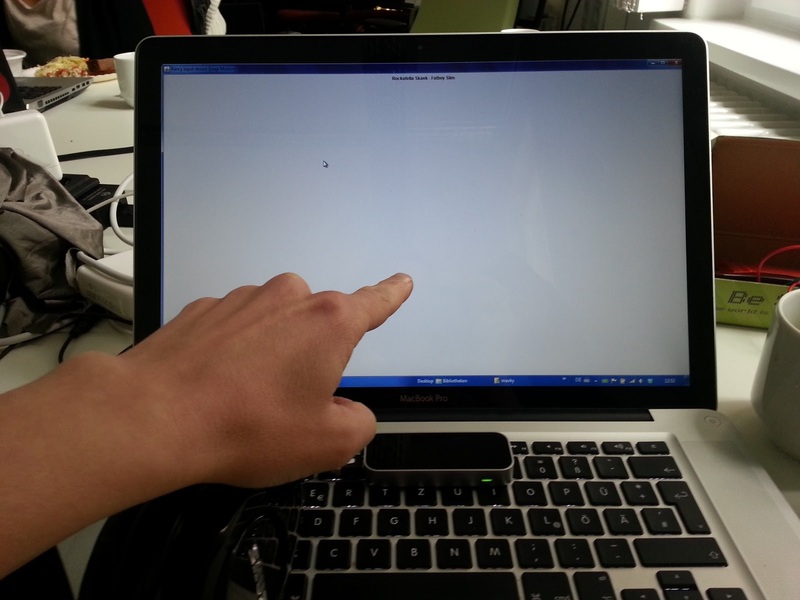 You can scroll through the list by using either a mouse, touchpad or LEAP motion controller. The song's title will be read to you when you point at it. If you want to listen to the song you can select it by either clicking the mouse of performing the "select" gesture on the LEAP. 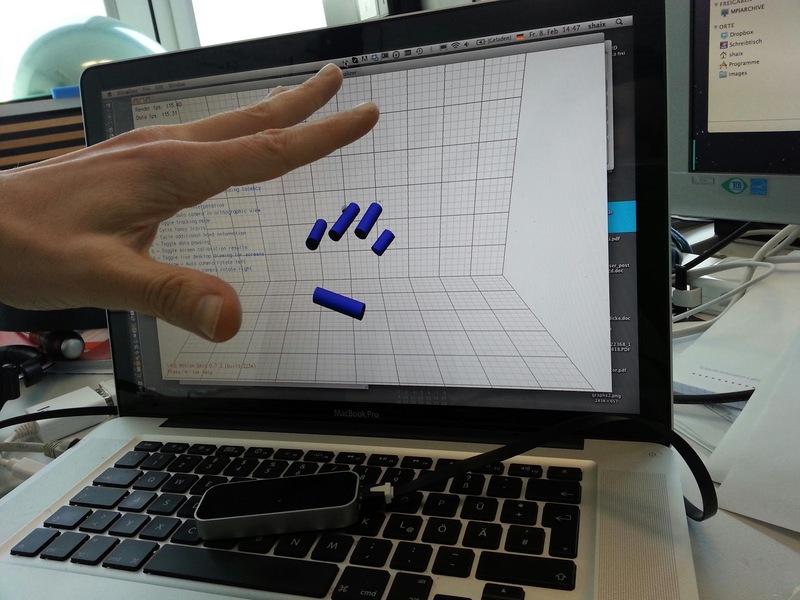 The prototype supports selecting and playing multiple songs simultaneously. This is intended to be a non-visual interface. You can use it just by listening to it and interacting with the LEAP. Done at the Berlin Geekettes Hackathon. 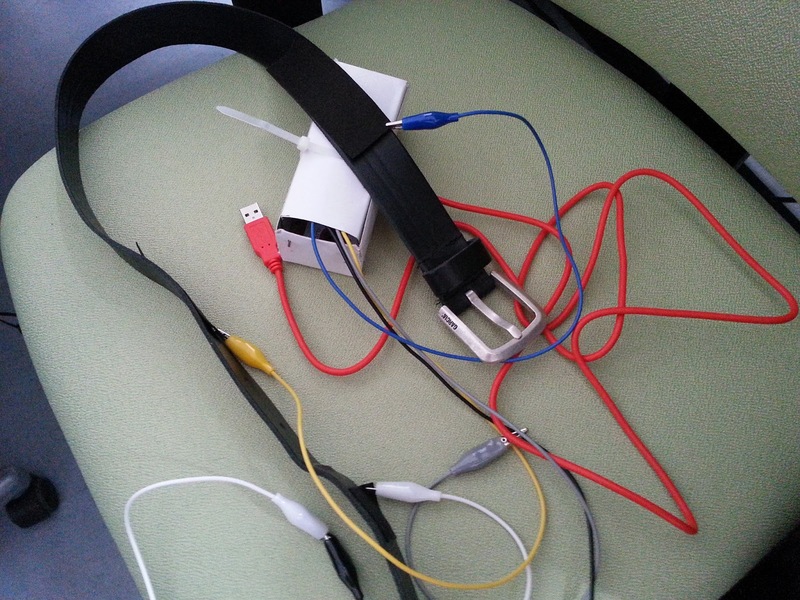 This is a regular belt hocked up to a Makey Makey. To make the belt touch sensitive I've added some conductive fabric (this attached to the belt and this wrapped around my hip) to connect to the Makey Makey. 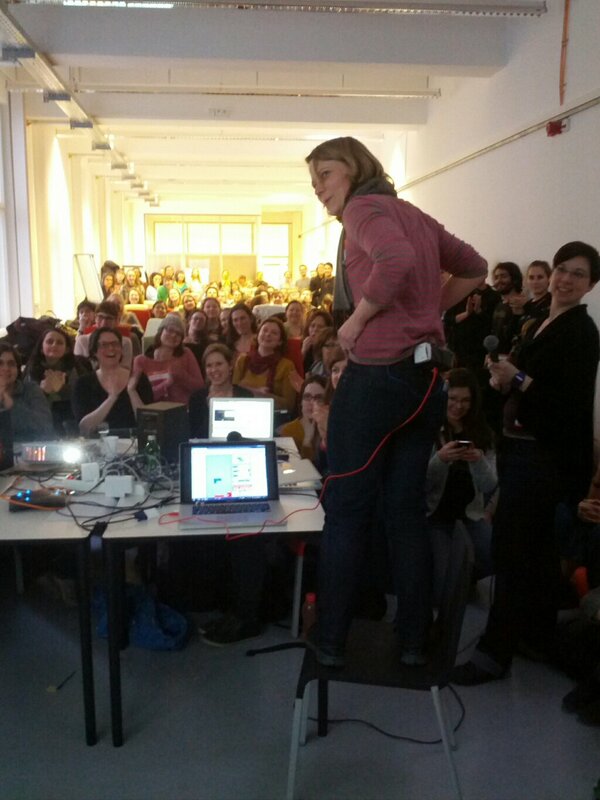 And that is me in the second picture playing Tetris with it at the Berlin Geekettes Hackathon (and won 3rd prize). Check out all the other cool projects at Hacker League. This is the very neat and amazingly precise LEAP I got a few weeks ago. It's going to be interesting to find applications for this that don't make you wish you could rest your hands [on a keyboard, mouse, touchpad] for a while.